Do you have a zero swing digger or excavator for sale? Looking to sell your zero swing digger or excavator? We are experts in zero swing excavator sales, so can guarantee you a smooth sales process with no hassle and a firm cash offer for your unwanted machinery. Within the realm of compact excavators, or mini diggers as they are sometimes called, there are two distinct classes of machinery. 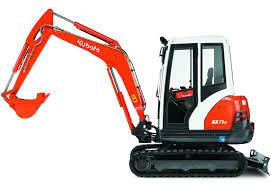 The main one is the conventional tail swing which uses a rear counterweight for balance and power, and then there are zero tail swing excavators, which has a house which stays within the width of the tracks of the digger, throughout full rotation. Zero swing excavators are mainly for projects which are solely focused on digging. They are the ideal diggers for use in a limited space. We know the importance of getting a job done properly, even in a tight space, so are keen to purchase any zero tail swing machines. So if you’re looking to sell your zero swing digger or excavator or have one for sale, be sure to get in touch with us today. All we’ll need to know is a few basic details about your digger or diggers, which you can tell us in just a couple of minutes by filling out our online form. 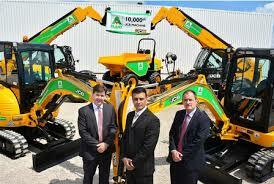 One of our team members will get back to you as soon as possible with a quote for your excavator. We cater to the whole of the UK so nowhere is too far or remote for us to collect your machine. It really is as easy as that, so why not give us a contact us today!